When Tutta Bella founder Joe Fugere says he’s passionate about the role of business in positive social change, he’s not kidding. Ten years ago, before Columbia City was all the rage, Joe took an old building on the northeast corner of Rainier Avenue South and South Hudson Street and turned it into the Northwest’s first certified Neapolitan pizzeria, also known as the Best Kid-Friendly Restaurant in Southeast Seattle. Since then he’s opened three more wildly successful restaurants in Seattle and one in Issaquah. All of Joe’s employees — including hourly workers — have received health insurance since 2008 — years before it was mandated by Obamacare. In 2010, when President Obama traveled to Seattle to meet with several small business owners for a discussion about strengthening the economy and creating jobs, Joe was invited to participate in the discussion (above). This week, he was kind enough to answer a few questions for your RVP’s People in Your Neighborhood column, a space dedicated to highlighting the unsung heroes of the south-end community. Click here to read the full interview with Fugere and get some insight into the owner of one of the neighborhood’s cornerstone businesses. WHEN Meredith Molli moved with her boyfriend from Minneapolis to Seattle in 2008, they made a beeline for Ballard, aware of its reputation as a restaurant mecca. “When we lived there, we never left there,” says Molli, save to head to the University of Washington for grad school (him) and commute to a job cooking at Sea Breeze Farm on Vashon Island (her). Five years later, Molli is co-owner of La Medusa in the heart of Columbia City’s Historic District — where history is clearly repeating itself in one of the most ethnically and economically diverse ZIP codes in the nation. “For me, it was a bit of a rash decision,” says Molli, 32, who was sous chef under Gordon Wishard when the two bought the restaurant last year from their former boss, Julie Andres. Andres was sous chef when she purchased the place from its original owners, chefs Lisa Becklund and Sherri Serino. She ascribes that, in part, to the availability of the “trendy” new condos and apartments that may soon have Columbia City looking more like Ballard. Gordon Wishard, executive chef/co-owner of La Medusa, presides over the kitchen. He and his business partner, Meredith Molli, bought the restaurant from their friend and former employer, Julie Andres. No Columbia City Ale House. No Tutta Bella. No Lottie’s Lounge, Geraldine’s Corner or Island Soul. Not even a Starbucks. “Why don’t you open a restaurant?” his neighbors asked. “We were a little ahead of ourselves,” Hannum laughs, recalling the decision to open his short-lived bistro Rutabaga, now La Medusa. But he and his former partner were savvy: They’d bought the building. The mid-’90s were a low point for retail, though, with rampant closures in Columbia City’s center. But with the debut of the landmark Columbia City Bakery a decade later, says Hannum, the neighborhood took off. For a business district to remain healthy, it must have a broad mix of restaurants and retail, insists Hannum, now a mortgage loan officer and former chairman of Seattle’s Landmarks Preservation Board. “Everyone has to eat, and there will always be a strong market for restaurants. But attracting — and keeping — independent retailers in the small buildings that define the historic district remains a constant challenge. Most people know him as the warm and friendly owner of Island Soul Caribbean Cuisine Restaurant & Catering in Columbia City (RVP advertiser), but Theo Martin also owns Northwest Industrial Staffing — an employment agency dedicated to finding work for others. Most days, he’s up by 4 am to run the staffing firm before pivoting over to restaurant responsibilities — like greeting guests by name and making sure the chef has everything he needs to serve hungry crowds. Yet he still makes time for lunch with his wife of nearly 30 years. This week, Theo was kind enough to answer a few questions for your RVP’s People in Your Neighborhood column, a space dedicated to highlighting the unsung heroes of the southeast Seattle community. The Columbia City Gateway Project has announced a kick-off party this Sunday (10/19) from 3:30-5pm at the Shirley Marvin Hotel on Edmunds (3815). Be sure to check out the video and the links below to find out more. The Friends of the Columbia City Gateway are having Kick-Off Party on Sunday, October 19th 3:30pm – 5:00pm at the Shirley Marvin Hotel Lobby and you are invited. The Gateway project will transform the shabby, neglected, and littered corner of the Columbia School (S. Edmunds and 37th) into a handsome, welcoming streetscape. We have a $100,000 matching fund grant and over $57,000 in donor pledges. Our goal is to raise $100,000 by end of the year! We welcome anyone who is interested in improving the walkway to and from Light Rail and creating more public gathering space for our neighborhood. …The Royal Room is about to turn three. Have you run anything like this before? 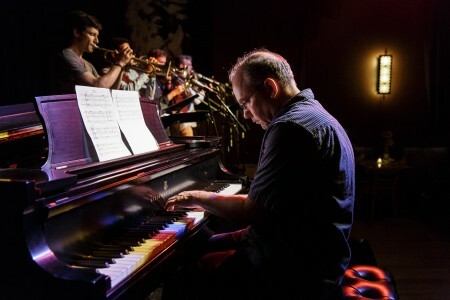 When I first moved to New York City, five of us rented a rehearsal space called Studio Henry. Within months, everybody from John Zorn to Bill Laswell to Arto Lindsay was playing down there. To call it a club would be a stretch—it was a fire-trap. We didn’t have any licensing of any sort. I’ve worked as a curator for institutions at different times, so I’ve been involved in programming, but this is another animal. It’s been incredibly rewarding from a creative point of view and way harder than I thought from an economic point of view. I have a completely fresh respect for anyone who owns a venue, especially a small venue. I’m almost ashamed of the complaining I’ve done over the years as an artist. People don’t understand that even if it’s doing well, is it’s an economy of scale. If you’re doing great, but you’re place that holds 120 people, great just isn’t that great. It’s a very tricky business. That being said, the idea of [The Royal Room] being relatively informal, of having all kinds of great music, and fitting into the demographics of Columbia City, instead of changing the demographics of Columbia City, that initial vision is essentially the same. Phillip Moore was eating lunch at a Columbia City restaurant Thursday with his wife and daughter when an SUV slammed through the wall. Only after he was dragged out of the burning building did he see his daughter. He had been looking for her in the restaurant, which was full of flames. “My eyes, I couldn’t open my eyes. 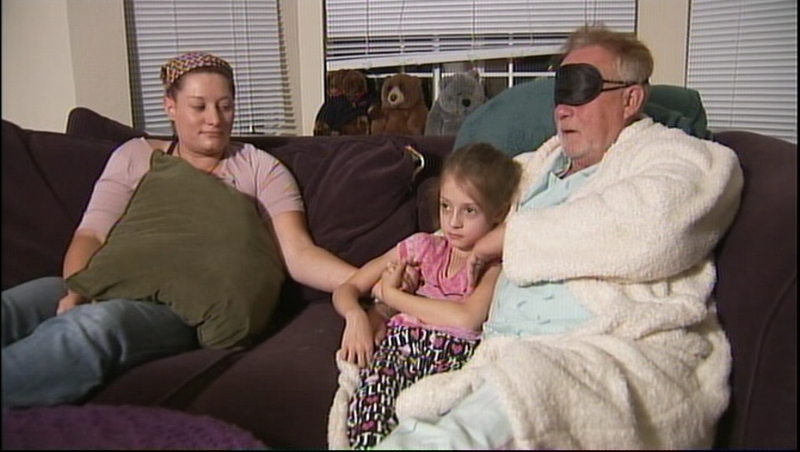 The burning inside my eyelids was so horrific,” said Moore. He couldn’t initially find his daughter, who says she ran from the chaos to a back room. “I didn’t know it was a car, and it just came through the wall and it exploded,” said 7-year-old Meara Moore. Moore thought his daughter was trapped under the SUV. “I really thought she was dead, and I thought this is it. My life’s finished. So, I wasn’t really bothered what happened to me, to be honest with you,” said Moore. And so he put his face into the flames to search. Read Nick McGurk’s entire piece for Kiro here. When an SUV crashed through a hair salon and Greek deli, pinning a family of three to a wall in Columbia City on Thursday afternoon, a group of witnesses grabbed fire extinguishers from nearby restaurants and raced to pull out furniture and debris to free the people trapped inside. “God worked a miracle today,” said the Rev. Don Davis, pastor of the African Methodist Episcopal Church in Columbia City, marveling that no one was killed. “We didn’t hesitate at all,” said Davis, who was among those who ran into the historic building on the southwest corner of Rainier Avenue South and South Ferdinand Street to help. According to Seattle police, witnesses reported hearing the SUV’s engine revving just before it tore through the two businesses. Officers are investigating what caused the driver to lose control of the vehicle. 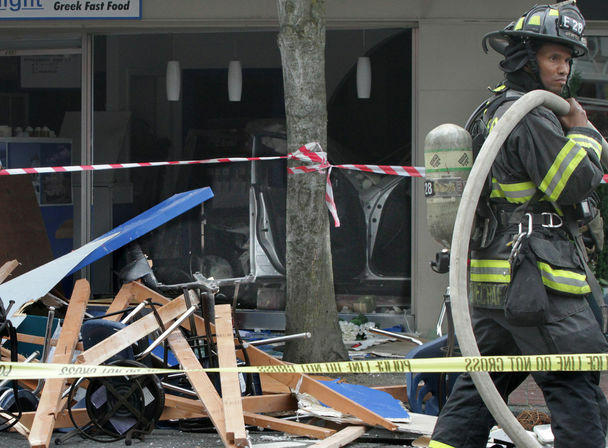 The SUV, driven by a woman in her 40s, was heading south on Rainier Avenue South just before 1:30 p.m. when it veered off the street and crashed into the Carol Cobb Salon and continued into The Grecian Delight deli next door, said Seattle Fire Department spokesman Kyle Moore. A father, mother and their 10-year-old daughter who were eating at the deli were pinned between the front of the SUV and a wall, he said. Firefighters were able to extricate the family within 12 minutes and all three were taken to Harborview Medical Center in stable condition with minor injuries, Moore said. In the salon, a boy, about 6 to 8 years old, suffered burns to his head and a woman was injured by falling debris, according to Moore. The child and woman were also taken to Harborview, and another woman inside the salon suffered minor injuries but wasn’t taken to the hospital. The driver did not have any apparent injuries but was taken to Harborview to get checked out, Moore said. The impact of the crash, which shattered windows and demolished walls, caused at least two large cracks at the building’s crown, raising concerns that the one-story building could collapse, Moore said. Firefighters wedged temporary metal support posts between the sidewalk and the storefront window frames to shore up the exterior walls. The article goes on to discuss the history of the 1905 building as well as the customers and employees from around the area who rushed to the scene to put out fires and help those injured by the accident. Be sure to read the whole thing here . As many know (and are excited about), the good folks at Flying Lion Brewery (the Williams family) are hard at work on their new space a few doors down from Full Tilt and Watercress. In an effort to pull off the final costs of the build, the Williams have created a crowdfunding site (similar to how Tin Umbrella and Big Chickie reached out) looking for neighborhood support. There are some pretty good rewards as well–stickers, t-shirts, pint-cards, even an unlimited beer for life membersip ($1,000)…which is pretty dang good if you think about it. The crowdbrewed site can be accessed here, the promo video introducing the guys behind it is below.